When is a mystery not a mystery, a documentary not a documentary, and a feature-length film not worthy of being one? I can think of quite a few cases for each scenario, but few combine all three drawbacks with the prosaic dullness of Dreams of a Life. The film’s hook intrigues. In 2006, British authorities broke into the North London apartment of Joyce Carol Vincent to evict her. Vincent, a vivacious and gorgeous young woman of West Indian descent, was discovered sitting on her sofa with the TV playing, and surrounded by a pile of Christmas presents. Or, more accurately, her putrefying bodily fluids were found puddled on the rug beneath her skeleton. Forensics revealed she had died in 2003. 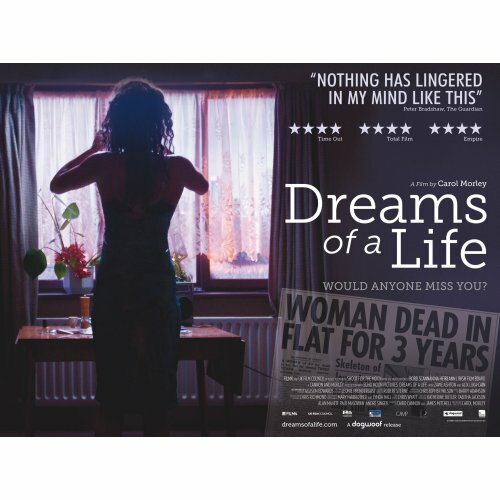 Writer/director Carol Morley sought to unravel how a popular and intelligent young woman in her twenties who seemingly had many friends and had held down responsible jobs could die alone in her flat without anyone noticing or making inquiries. Joyce had even made a few records, so somebody should have noticed, right? Quite a mystery, yes? No. We learn in the first ten minutes that there is no mystery; Joyce was a serial groupie who latched onto people for short periods, vanished, and moved onto a new group (or lover). After 15 minutes we discover that Joyce was not quite what she claimed to be–not nearly so well educated, posh, or well connected as she let on. Had Morley stopped there, she might have had a tight little short film that could have created a minor stir in independent film festivals. Instead, she drags out the non-drama for another 80 minutes. Former partners, coworkers, club acquaintances, and musical collaborators go before the camera to tell us what I’ve already related. Rule one of a documentary is that it must record and document something. But Morley’s subjects have so little to say that she engages in two hard-to-overlook sins: she allows those behind the camera to repeat the same non-revealing items ad infinitum, and she supplements their lack of revelation with partially imagined re-creations using professional actors. (Zawe Ashton stands in for Joyce, Cornell John for her father, and so on.) Is this even a documentary once the corpse is collected? The threads of Joyce’s life are so few and the story so thin that Morley had to do something to get an hour and a half of usable footage, but the film feels like a two-page undergrad paper padded to five. Don't be fooled by the demure cover. This one will bowl you over. 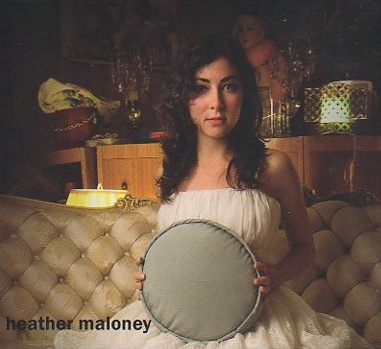 Nearly every article on Heather Maloney mentions that when she hit the stage the first time in 2009 she nearly keeled over from stage fright. I remember those days. Color them gone, gone, gone. Let’s not waste any more time–Maloney’s third release, her first on Signature Sounds, is the year’s best acoustic release. Done. Can’t get any better. It is a work of maturity, deep emotion, and knock-you-to-your-knees beauty. Maloney–originally from New Jersey and now in Western Massachusetts–was schooled in jazz and opera, studied classical Indian music, and spends time in meditation. Why the bio? Because all of these ground her in ways that elude many young singers. She writes with wisdom beyond her years and she interprets songs rather than feeling the need to prove her chops. Of course, it helps if those chops are already well done. We are served eleven songs that fall loosely in the folk country category, though jazz and pop undertones shine through. She can rock you with meaty, bouncy hooks (“Flutter”), impress you with a hand-jive/jazz mash up (“Hey Broken”), or stop you dead in your tracks with a poignancy and sweetness, as in “Dirt and Stardust,” a reflection on life’s ephemerality. (And she’s fine with that.) She has good politics too. “Grace,” a postmodern musing on the old gospel tune–with a clever refrain featuring elongated-to-clipped syllables–calls out “welfare queen” shouting hypocrites; and “John Ball” is where honky-tonk meets progressive thinking. She rounds off the album with “Flying on Helium,” a showstopper that’s simultaneously fragile and strong.